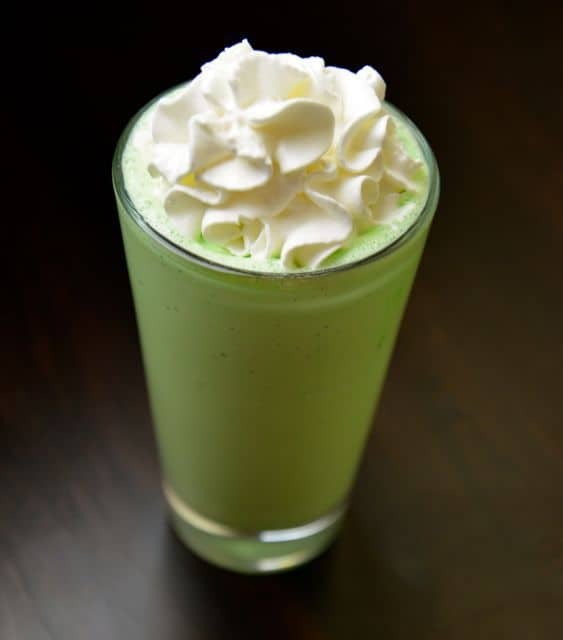 McDonald’s Shamrock Shake is one of their best-known menu items. This minty ice cream treat makes an annual appearance for St. Patrick’s Day. If you wanted to make one yourself, you can do so any time of year now. This ice cream drink is so easy to make. You just need a couple of ingredients. Some recipes online I have seen ask for mint extract. That is pretty good to use, but if you use a food-grade, quality mint oil, the flavor is well incredible. You could also use milk, but I promise if you use half-and-half, you are going to have one rich and creamy milkshake. Before starting this recipe I like to let my ice cream sit out on the counter for a few moments. This way it is a little softer and will blend more easily. You may want top your shake with cookie crumbs, such as Girl Scout Thin Mint cookies, or even a sprig of mint if you want to make this look fancy. Make your own McDonald's Shamrock Shake t home. Allow ice cream to soften for about 10 minutes so it will be easy to blend. 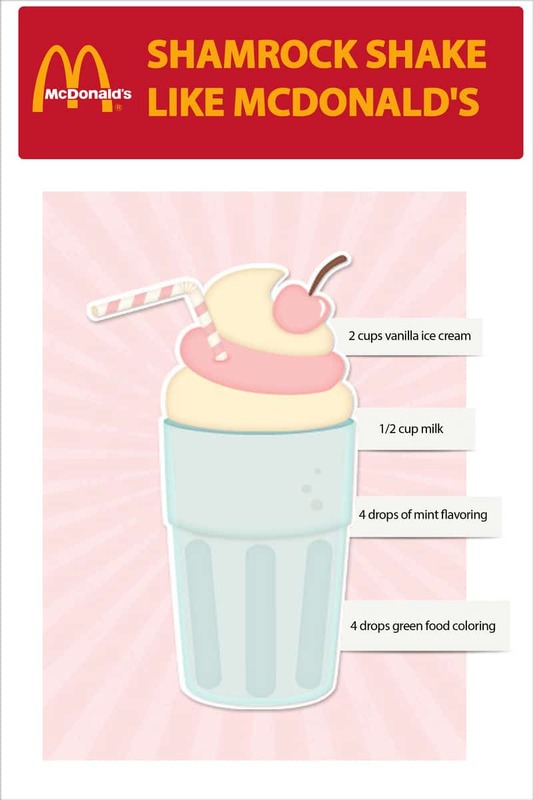 Combine the ice cream, half-and-half, mint oil, and food coloring in a blender and puree for about 30 seconds. Serve immediately, topped with whipped cream.Note If you want to go dye free, just omit the green food coloring—it tastes just the same!. Thanks for your skilled suggestions at drink making. I am definitely going to try some of your suggestions. These sound simply amazing. Why do you put Bailey’s with the Creme de Mint in the Grasshopper? They all sound good.